When it comes to child custody law, the specifics can be confusing. Many Kentuckians need only concern themselves with Kentucky child custody statutes, though child custody law varies between states. Child custody is often determined by a family court to ensure unbiased decisions and compliance with state law. Custodial decisions in family court often determine who takes care of and makes decisions for a child. These decisions take two forms: legal and residential. Legal custody is when it is the legal right of the parent or guardian to make decisions for the child on fundamental issues of the child’s welfare, such as the child’s education and healthcare. Residential custody, on the other hand, determines who the child will primarily reside with. The most popular decision in custody battles is equal timesharing, meaning that both parents share equally their time spent with the child and in some cases share primary residential custody. In this situation, both parents continue to play an equal role in the child’s life. Sole custody, although rare, is a status in which only one parent receives both legal and residential custody of the child. Sole custody, as well as unequal time sharing are common solutions found in cases where one parent experiences drug or alcohol problems, persistent criminal offenses, or if a parent cannot be located. There are many factors that play into determining who will receive residential custody, which include the age of the child, location, and health. The court’s decisions as to the residential and legal rights of the parents turns on the best interests of the child. 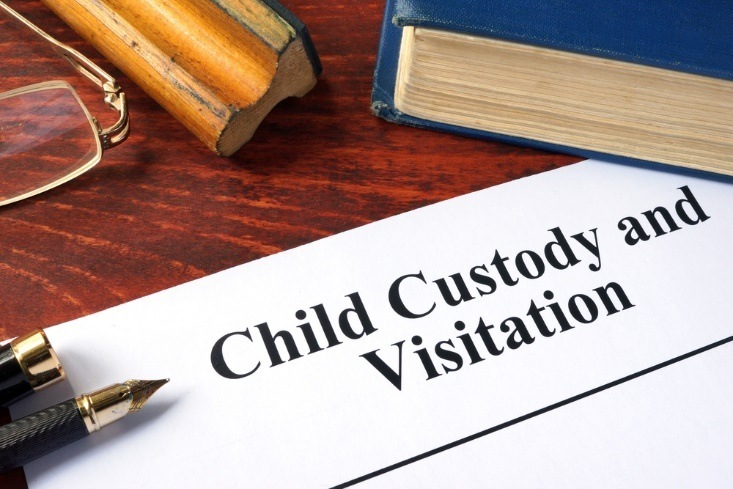 There are other factors at play in child custody, such as child support, parenting plans, and the visitation rights of parents and relatives. Child support is calculated according to a statutory guideline, and is often paid by the non-residential parent, if it is required at all. Parenting plans are plans created by both parents on how to co-parent a child after legal separation. In Kentucky, child custody decisions are based on what is interests of the child. Both men and women receive equal opportunity to receive custody of their child, although this opportunity is considered in light of any issues like domestic violence or abuse. The specific wishes of the child are sometimes considered, although those wishes are often dependent upon the age of the child and the influence it will have on their upbringing. Similarly, grandparent visitation rights are often granted in child custody agreements. For specific questions about child custody in the state of Kentucky or legal counsel for your particular child custody case, come see us at the Law Office of Matthew L. Collins. We will work with you to provide guidance and counsel based upon what is best for both you and your child. We are located in Lawrenceburg, Kentucky and serve the surrounding Central Kentucky area including Anderson County, Woodford County, and Fayette County.